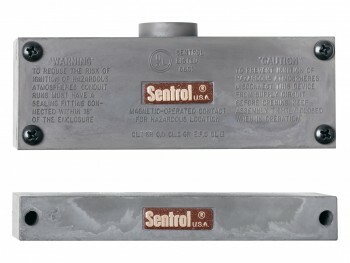 The 2800T Series magnetic contacts are designed for High Security hazardous environments. The rugged die-cast aluminum housing with conduit fittings meets UL requirements for hazardous locations. The contacts are balanced, triple-biased SPDT switches that make defeat with external magnets virtually impossible. The contacts feature tamper circuits that are actuated by removal of the face plate or by introduction of an external magnet. 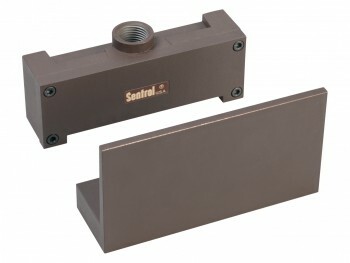 The terminals are located inside the housing providing additional protection from tampering or accidental shorting. Optional features include pry tamper loop for alarm in case of contact removal, current limiting device for circuit protection, and a housing approved for Class 1 Group B and Class III environments.